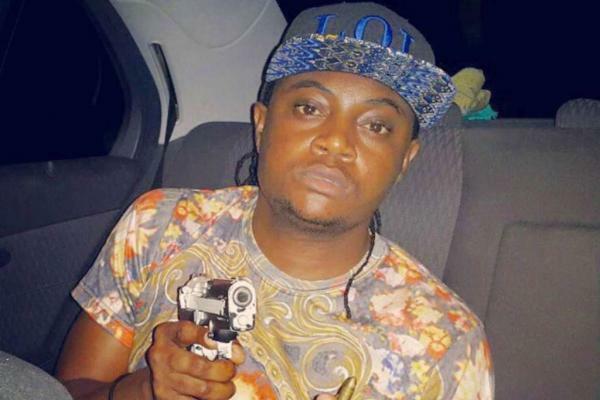 Singer lands in trouble for posing live fire arm on social media. A Mombasa based singer landed himself in trouble after posting a photo of himself holding a gun and a live bullet on his instagram page. Chikuku Abdallah who is popularly known as Chikuzee posted the photo and Captioned it “hapa Kazi tu.” Of which to the police was an illegal action since he is not licensed to posses a fire arm. After police questioning the controversial singer could only say that he was just posing with the fire arm and he has several friends who posses firearm. According to reports Chikuzee was behind bars for failing to clear Ksh 171,500 Hotel bill. The law will teach him that a live fire arm is not a toy gun.